The Cosmic Serpent by Jeremy Narby takes a serious look at how neurogenetic consciousness informs awareness, knowledge, symbolism and culture. His comparison of the ancient cosmic serpent myths to the genetic situation in every living cell reveals the immortal biomolecular wizard behind the curtain of everyday life. His anthropological study, ayahuasca experience and scientific speculations weave a tale of shamans who bring their consciousness down to molecular levels with sophisticated neurotransmitter potions in order to perceive information contained in the coherent visible light emitted by DNA. Some biologists describe DNA as an "ancient high biotechnology," containing "over a hundred trillion times as much information by volume as our most sophisticated information storage devices." Could one still speak of technology in these circumstances? Yes, because there is no other word to qualify this duplicable, information-storing molecule. DNA is only ten atoms wide and as such constitutes a sort of ultimate technology: It is organic and so miniturized that it approaches the limits of material existence. Shamans, meanwhile, claim that the vital principle that animates all living creatures comes from the cosmos and is minded. As ayahuasquero Pablo Amaringo says: "A plant may not talk, but there is a spirit in it that is conscious, that sees everything, which is the soul of the plant, its essence, what makes it alive." According to Amaringo these spirits are veritable beings, and humans are also filled with them: "Even the hair, the eyes, the ears are full of beings. You see all this when ayahuasca is strong." In their visions, shamans take their consciousness down to the molecular level and gain access to information related to DNA, which they call "animate essences" or "spirits." This is where they see double helixes, twisted ladders, and chromosome shapes. This is how shamanic cultures have known for millennia that the vital principle is the same for all living beings, and is shaped like two entwined serpents (or a vine, a rope, ladder...). DNA is the source of their astonishing botanical and medicinal knowledge, which can be attained only in defocalized and "nonrational" states of consciousness, though its results are empirically verifiable. The myths of these cultures are filled with biological imagery, and the shamans metaphoric explanations correspond quite precisely to the descriptions that biologists are starting to provide. DNA and the cell-based life it codes for are an extremely sophisticated technology that far surpasses our present-day understanding and that was initially developed elsewhere than on earth—which it radically transformed on its arrival some four billion years ago. 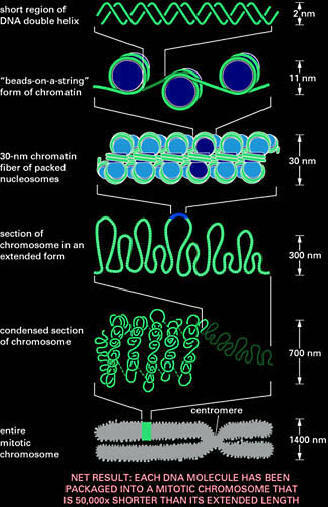 If one stretches out the DNA contained in the nucleus of a human cell, one obtains a two-yard long thread that is only ten atoms wide (and the two ribbons that make up this filament wrap around each other several hundred million times). This thread is a billion times longer than its own width. Relatively speaking, it is as if your little finger stretched from Paris to Los Angeles. A thread of DNA is much smaller than the visible light humans perceive. Even the most powerful optical microscopes can not reveal it, because DNA is approximately 120 times narrower than the smallest wavelength of visible light. The nucleus of a cell is equivalent in volume to 2-millionths of a pinhead. The two-yard thread of DNA packs into this minute volume by coiling up endlessly on itself, thereby reconciling extreme length and infinitesimal smallness, like mythical serpents. In the early 1980s, thanks to the development of a sophisticated measurement device, a team of scientists demonstrated that the cells of all living beings emit photons at a rate of up to approximately 100 units per second and per square centimeter of surface area. They also showed that DNA was the source of this photon emission. Inside the nucleus, DNA coils and uncoils, writhes and wriggles. Scientists often compare the form and movements of this long molecule to those of a snake. 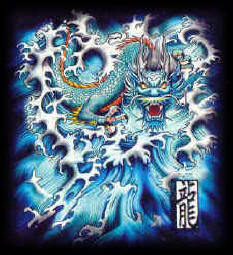 There...is the source of knowledge: DNA, living in water and emitting photons, like an aquatic dragon spitting fire. 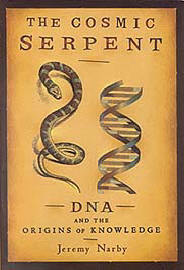 Could you sum up your book "The Cosmic Serpent, DNA and the Origins of Knowledge"? Intelligence comes from the Latin inter-legere, to choose between. There seems to be a capacity to make choices operating inside each cell in our body, down to the level of individual proteins and enzymes. DNA itself is a kind of "text" that functions through a coding system called "genetic code," which is strikingly similar to codes used by human beings. Some enzymes edit the RNA transcript of the DNA text and add new letters to it; any error made during this editing can be fatal to the entire organism; so these enzymes are consistently making the right choices; if they don't, something often goes wrong leading to cancer and other diseases. Cells send one another signals, in the form of proteins and molecules. These signals mean: divide, or don't divide, move, or don't move, kill yourself, or stay alive. Any one cell is listening to hundreds of signals at the same time, and has to integrate them and decide what to do. How this intelligence operates is the question. 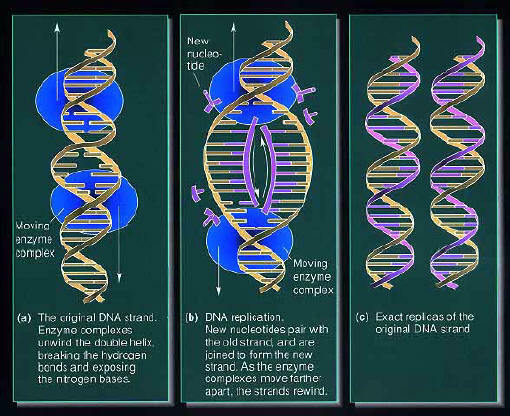 DNA is a single molecule with a double helix structure; it is two complementary versions of the same "text" wrapped around each other; this allows it to unwind and make copies of itself: twins! This twinning mechanism is at the heart of life since it began. Without it, one cell could not become two, and life would not exist. And, from one generation to the next, the DNA text can also be modified, so it allows both constancy and transformation. This means that beings can be the same and not the same. One of the mysteries is what drives the changes in the DNA text in evolution. DNA has apparently been around for billions of years in its current form in virtually all forms of life. The old theory—random accumulation of errors combined with natural selection—does not fully explain the data currently generated by genome sequencing. The question is wide open. This is the observation that led me to investigate the cosmic serpent. I found the symbol in shamanism all over the world. Why? That's a good question. My hypothesis is that it is connected to the double helix of DNA inside virtually all living beings. And DNA itself is a symbolic Saussurian code. So, yes, in at least one important way, the living world is inherently symbolic. We are made of living language. You write of how the ideology of "rational" science, deterministic thought, is and has been quite limiting in its approach to new and alternative scientific theories; it is assumed that "mystery is the enemy." In your book you describe how you had to suspend your judgement, to "defocalize," and in this way gain a deeper insight. Why do you think we are often limited in our rational, linear thought and why are so few willing and able to cross these boundaries? I think we should attend to the words we use. "Consciousness" carries different baggage than "intelligence." Many would define human consciousness as different from, say, animal consciousness, because humans are conscious of being conscious. But how do we know that dolphins don't think about being dolphins? I do not know whether there is a "consciousness" inside our cells; for now, the question seems out of reach; we have a hard enough time understanding our own consciousness—though we use it most of the time. I propose the concept of "intelligence" to describe what proteins and cells do, simply because it makes the data more comprehensible. This concept will require at least a decade or two for biologists to consider and test. Then, we might be able to move along and consider the idea of a "cellular consciousness." Most definitions of "science" revolve around the testing of hypotheses. Claude Levi-Strauss showed in his book The Savage Mind that human beings have been carefully observing nature and endlessly testing hypotheses for at least ten thousand years. This is how animals and plants were domesticated. Civilization rests on millennia of Neolithic science. I think the science of shamans can complement modern science by helping make sense of the data it generates. Shamanism is like a reverse camera relative to modern science. I don't use the word "spiritual" to think about my life. I spend my time promoting land titling projects and bilingual education for indigenous people, and thinking about how to move knowledge forward and how to open up understanding between people; I also spend time with my children, and with children in my community (as a soccer coach); and I look after the plants in my garden, without using pesticides and so on. But I do this because I think it needs doing, and because it's all I can do, but not because it's "spiritual." The message I got from shamans was: do what you can for those around you (including plants and animals), but don't make a big deal of it. The Cosmic Serpent is a great personal adventure story, a fascinating study of anthropology and ethnopharmacology, and, most important, a truly revolutionary look at how knowledge and consciousness may come into being. For ten years, Jeremy Narby explored Amazonian rain forests, the libraries of Europe, and some of the world's most arcane scientific journals, following strange clues, unsuppressible intuitions, and extraordinary coincidences. He collected evidence and researched the seemingly impossible possibility that specific knowledge might somehow be transferred through DNA, the genetic information at the heart of each cell of all living beings, to a drug-prepared consciousness. The beginning of Narby's explorations lay with the Peruvian Indians, who claim that their knowledge of chemical interactions-now scientifically confirmed-has its origins in plant-induced hallucinations and that during these experiences they gain information that could not be acquired by methods of trial and error. Narby demonstrates that indigenous and ancient peoples have known for millennia-and even have drawn-the double helix structure, something conventional science discovered only in 1953. He also suggests that DNA, and the life it codes for at the cellular level, are "minded." In a first-person narrative of scientific discovery that opens new perspectives on biology, the knowledge of indigenous peoples, anthropology, and the limits of rationalism, The Cosmic Serpent reveals how startlingly different the world around us appears when we open our minds to it. --This text refers to an out of print or unavailable edition of this title. Continuing the journey begun in his acclaimed book The Cosmic Serpent, the noted anthropologist ventures firsthand into both traditional cultures and the most up-todate discoveries of contemporary science to determine nature's secret ways of knowing. Narby presents the first in-depth anthropological study of this concept in the West. He not only uncovers a mysterious thread of intelligent behavior within the natural world but also probes the question of what humanity can learn from nature's economy and knowingness in its own search for a saner and more sustainable way of life. 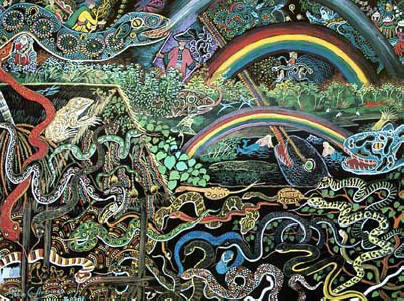 In The Cosmic Serpent, anthropologist Narby hypothesized that Amazonian shamans can "gain access in their visions to information related to DNA" comparable to what molecular biologists know. 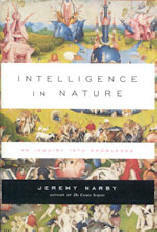 In this intriguing treatise, he carries his project of syncretizing all forms of knowledge a step further, arguing that animals and plants exhibit intelligence comparable in many ways to that of humans. His shaman friends heartily endorse the idea, regaling him, over a friendly pot of hallucinogenic ayahuasca brew, with conversations they have had in the trance state with animal and plant spirits. For further confirmation, he talks to Western scientists who have done remarkable research on cases of nonhuman intelligence, like bees with abstract reasoning, crows that manufacture standardized tools, pigeons that distinguish between the works of Van Gogh and Chagall about as well as college students do, octopuses that break out of and into their tanks and slime molds that solve mazes. Scientists may find Narby's ongoing efforts to assimilate shamanic mysticism to Western science - he associates, for example, Amazonian legends about humans turning into jaguars with Darwin's theory of evolution - naïve and illogical. But Narby has done his homework - the endnotes themselves make excellent reading - and his well-researched and engagingly presented account of the "braininess" of even literally brainless creatures raises fascinating questions about the boundaries between man and nature. A survey of five centuries of writings on the world's great shamans-the tricksters, sorcerers, conjurers, and healers who have fascinated observers for centuries. This collection of essays traces Western civilization's struggle to interpret and understand the ancient knowledge of cultures that revere magic men and women-individuals with the power to summon spirits. As written by priests, explorers, adventurers, natural historians, and anthropologists, the pieces express the wonder of strangers in new worlds. Who were these extraordinary magic-makers who imitated the sounds of animals in the night, or drank tobacco juice through funnels, or wore collars filled with stinging ants? 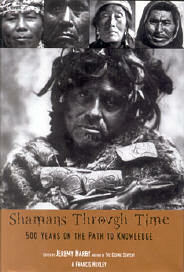 Shamans Through Time is a rare chronicle of changing attitudes toward that which is strange and unfamiliar. With essays by such acclaimed thinkers as Claude Lévi-Strauss, Black Elk, Carlos Castaneda, and Frank Boas, it provides an awesome glimpse into the incredible shamanic practices of cultures around the world. 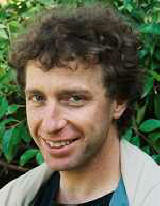 Jeremy Narby, Phd., grew up in Canada and Switzerland, studied history at the University of Canterbury, and received a doctorate in anthropology from Stanford University. Since 1989 he has been working for Swiss NGO Nouvelle Planýte as Amazonian projects director. He did fieldwork among the Ashaninca people of Peru. He now works with indigenous Amazonian organizations on land titling and bilingual, intercultural education. While doing work cataloging indigenous uses of rainforest resources to help combat ecological destruction, he asked one of his guides how they knew so much about the plants around them. 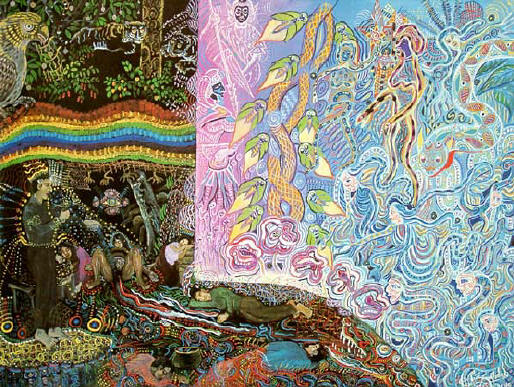 Narby was informed that the plants themselves tell people how to use them, particularly through the drinking of ayahuasca, an indigenous hallucinogen.